« Jade’s the star today! My baby doll and my first baby garment! 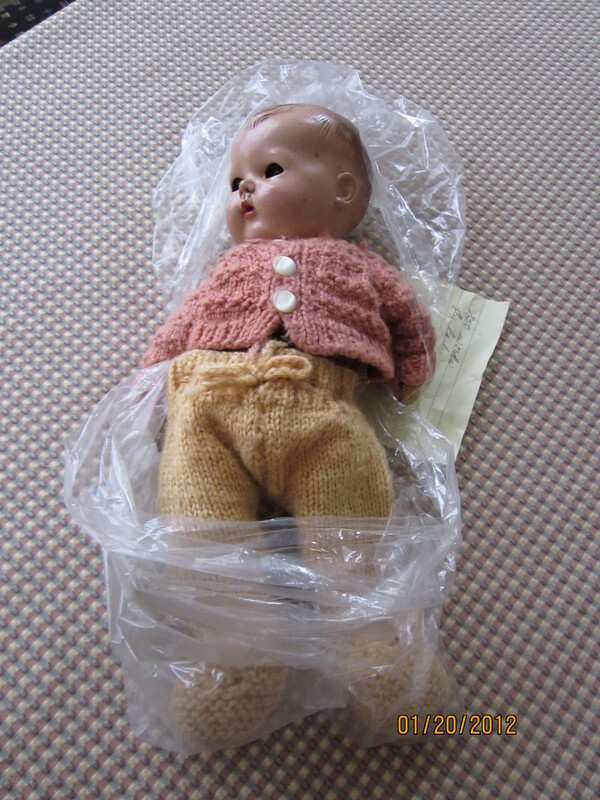 I was looking in my archives the other day and two items from my childhood surfaced….my baby doll dressed in the first baby outfit I knit when I was about 9 years old (I learned to knit when I was 8)….and my first knitting bag. Of course, each artifact has its own story. I wasn’t much of a doll girl…but I did love my baby doll. My family moved to Australia when I was 8 years old and my baby doll came with me….I don’t remember what I named her. But I do remember that she was my favorite doll and she was the giftee of my first baby knit outfit…a pink sweater with what use-to-be white leggings. The sweater has a stitch design and the leggings have shaping with a ribbing waist and a chain “i-cord”. It’s been suggested that I take “Baby Doll Pugh” to the doll hospital and have her restored…and then share her in a display/shadow box. I am thinking that I will do just that. 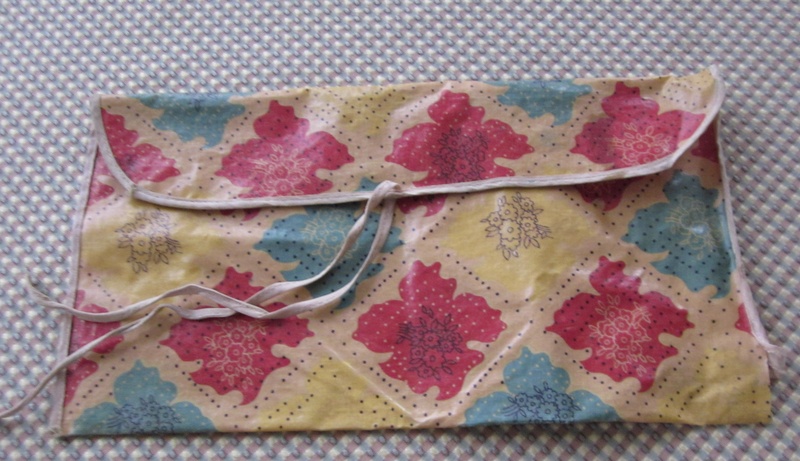 ….I will share a story about this bag tomorrow both on this blog and the blog “All About Peg“. When I saw this bag it evoked many memories…one of which it “traveled” with me through high school. So….stay tuned for more reminiscing tomorrow….in fact, I have a couple of other items to reminisce about this week. And what a good job you did with Baby Doll Pugh, especially considering what a baby you yourself were at the time. Nice close, even stitches that clearly foreshadowed a life of knitting ahead of you.